Early in her career as an elementary school teacher, Cheryl Campbell recognized the power of books and reading. She realized with her own two children that children who are read to at an early age are encouraged to read on their own, and that books and reading spark creativity, imagination, and verbal skills. 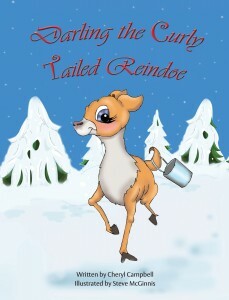 Her first children’s books all follow a holiday theme with valuable lessons weaved through. 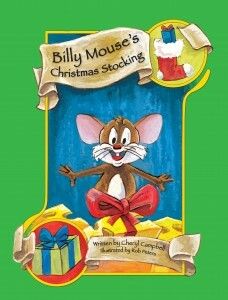 Darling the Curly Tailed Reindoe, Darling Saves Christmas, and Billy Mouse’s Christmas Stocking are becoming a favorite for children this time of year. We connected with Cheryl to learn more about her and the stories behind her merry books. What attracts you to writing Christmas stories? Christmas has always been a very special time for me. I love the excitement and the decorations and everything associated with Christmas. I guess it was just natural that I would write about Christmas too. What was your inspiration behind Darling and Mr. Mouse? They were stories I made up and I would tell my children when they were young, my husband’s uncle persuaded me to write them down. They stayed in a box for over 30 years before I published them. How did your experience as an educator influence your books? I feel reading is very important to the development of a child, children need to be read to and see parents reading. There are studies that support this and show that children who read are less likely to get into trouble and will continue their education. Through reading you can experience many different countries and experiences, there is a whole world that is opened to you through reading. What is your favorite part of being a children’s book author? I love to watch the children follow along and watch their faces while I read to them, I also enjoy the pictures and stories that parents have told me about their children and my books. I never really thought about being a children’s author, it just happened. How do you keep your Christmas books relevant around the year? Each of the books has a lesson or moral so they are meaningful year round, for instance the bullying that Darling experiences and the fact that Billy is rewarded for doing the right thing. What has been the most effective way of letting strangers know about your book? In the past I have done quite a bit of networking, even in my current job I manage to find a way to tell people about the books. We also have a website and of course all that BQB Publishing does. Probably the most important is just telling “our story”. My husband was making a deposit into our Reindoe account and the banker asked what Reindoe was and ended up buying each of the books. Any advice for other authors of Christmas books? Be persistent and never give up. Keep following your dream. Success does not come overnight. You need to market yourself and be out there promoting yourself and your books. You are your best salesperson. In one sentence, why should parents buy your books for their kids? 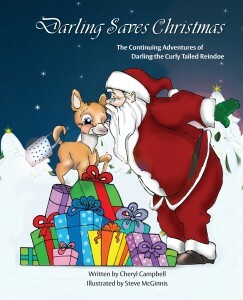 To experience great Christmas stories and a great reading experience with their children. What do you hope kids take away from reading your books? Cheryl’s books are available to purchase in hardcover and eBook through our online store, Amazon, Barnes & Noble, Kobo, OverDrive,and other book retailers.